First Run Features is pleased to announce that Elizabeth Rynecki's documentary Chasing Portraits will open in New York on April 26 and in Los Angeles on May 17. Elizabeth Rynecki will be present for post-screening Q&A’s opening weekend. The theatrical premiere comes after playing in a number of sold-out festival screenings worldwide including the San Francisco Jewish Film Festival and the New York Jewish Film Festival. For more than a decade Moshe’s great-granddaughter, Elizabeth, (pictured above) has searched for the missing art, with remarkable and unexpected success. Her commitment was inspired by the obligation she felt to tell the story of her great-grandfather’s paintings. 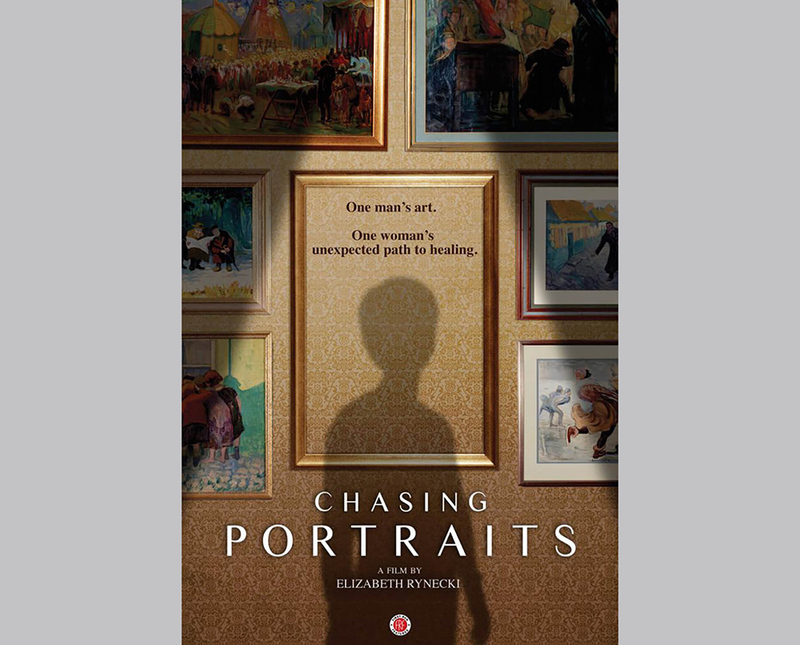 Spanning three generations, Chasing Portraits is a deeply moving narrative of the richness of one man’s art, the devastation of war, and one woman’s unexpected path to healing. Moshe Rynecki (1881-1943) was a prolific Warsaw-based artist who painted scenes of the Polish-Jewish community until he was murdered at Majdanek concentration camp. After the Holocaust, Moshe’s wife was only able to recover a small fraction of his work, but unbeknownst to the family, many other pieces survived. For more than a decade Moshe’s great-granddaughter, Elizabeth, has searched for the missing art, with remarkable and unexpected success. Her commitment was inspired by the obligation she felt to tell the story of her great-grandfather’s paintings. Her family lost most everything in the war; given how much of Warsaw was destroyed, and how few Polish Jews survived, it is a miracle that her father, grandparents – and any of her great-grandfather’s paintings – survived at all. I grew up surrounded by my great-grandfather’s paintings; they were prominently displayed on the walls of my family home. I understood from an early age that his art connected me to a history that, while not exactly my own, still overshadowed my life. When I started the project, it felt critical to me to document the history and share the art. It’s been eye opening to see how contemporary politics and a significant increase in anti-Semitic incidents around the world have enhanced the importance and relevance of the film for today’s audiences. My documentary is focused on my great-grandfather’s art and my quest for his lost paintings, but inevitably draws attention to larger themes about the long reaching impacts of war and what it means to be a refugee. I feel like the film is a statement not only about my great-grandfather’s art and issues surrounding Holocaust era looted art, but about the role of art and the artist. I’m often asked why I am not a claimant fighting for the return of my great-grandfather’s paintings. My great-grandfather painted because he was passionate about the Polish-Jewish community and he wanted to record the people he knew and loved. Getting paintings back is only one form of justice. Being able to share my great-grandfather’s art with others is a form of social and historical justice. Seeing audiences discover his work feels like an enormous win. I hope that after seeing my great-grandfather’s art, audiences will love it and gain a better understanding of the rich and vibrant world of Polish-Jewish art that was lost during the war. If the film inspires audiences to be curious about their own family history, that would be ideal. I also hope that by sharing my own personal experiences navigating my family’s Holocaust legacy, audiences will begin to see how the effects of war cascade down to subsequent generations.